One day as I was reading a biography about John Bunyan, I ran across a reference to his second wife, Elizabeth. I loved the brave way she defended John during one of his trials when he was under arrest for his “unlicensed” preaching. Elizabeth’s strength to face a court of persecutors and her determination to faithfully support her husband touched me so deeply, I decided her little-known story needed to be told to the world. I spent about 6 weeks reading biographies and any other time-period books I could find. I sifted through plot ideas, wanting to stick as closely to the facts as possible but also knowing I would need to dramatize the story to bring it to life. A large part of my planning involves the process of getting to know my characters. I use an extensive character worksheet (available on my blog for free). I tried to use what history knows about the real characters, but then fill in the rest and make them larger than life. I spent a summer self-editing the book, and eventually I hired a freelance editor to read through it. Her suggestions helped me polish my first chapter so that I was able to final in the ACFW Genesis contest in May of 2009. During the months before I finaled in the contest, I had started querying The Preacher’s Bride to agents. I received rejections from all of them except one—Rachelle Gardner. She requested a full manuscript within days of the query, but then my book sat in her slush pile for months. My contest final perked her attention and not long after that she offered me representation. Rachelle immediately went to work shopping my book. She pitched the idea to a Bethany House acquisitions editor at a conference she was attending. When she got home, she called me, told me Bethany House was interested, and we got busy writing a proposal to send to them. We talked back and forth with Bethany House for two to three months before we finally settled upon a 3 book contract. They bought The Preacher’s Bride and also asked me to write two additional books, which I’m currently working on. The Preacher’s Bride is currently available for order on Amazon.com, Christianbook.com, and other internet sites. It’s also for sale in most bookstores. You can connect with me in LOTS of ways. Please stop by and say hi! Did anything about the start-to-finish writing journey of my book surprise you? If you’d like to sign up to win a free copy of The Preacher’s Bride, please tell us your favorite candy bar (because don’t you know, a writer’s favorite food is always chocolate?!) And don’t forget to leave your email address. The drawing will be held on Monday the 4th of October, 2010. 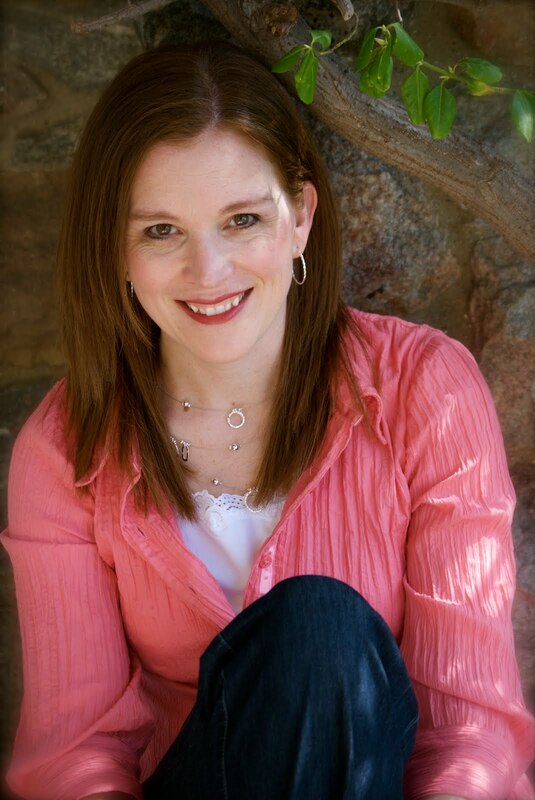 Bio: Jody Hedlund is a debut historical romance novelist who was a double finalist in the 2009 ACFW Genesis Contest. She received a bachelor’s degree from Taylor University and a master’s from the University of Wisconsin, both in Social Work. Currently she makes her home in Midland, Michigan, with her husband and five busy children. This entry was posted on Monday, September 27, 2010 and is filed under Historical Romance, Traditional Publishing Stories . You can leave a response and follow any responses to this entry through the Subscribe to: Post Comments (Atom) . Jody, thanks for sharing your journey here on Lynnette's blog. I hadn't realized Rachelle was the only agent who hadn't passed on The Preacher's Bride. Obviously, she has great taste and saw the potential in the story. I loved The Preacher's Bride. Since I have four copies of your book and will be giving away three of them when I'm privileged to have you as my guest at Romance Writers on the Journey on October 4, I ask that I not be entered in the drawing. I have to tell everyone that I'm almost done reading The Preacher's Bride and I've thoroughly enjoyed the read! Great job, Jody! Thanks for sharing your journey. I am working on a few books myself by inspiration from a few friends so as a pastor's wife we'll see how things turn out. I love Lynette Bonner and trust her writer recommendations. I can't wait to read The Preacher's Bride! My favorite candy bar is Three Musketeers! I want to read this so bad. I would love to be entered to win a copy! My favorite candy bar is interchangeable, really. Skor/Heath. :) As long as it has toffee and chocolate I am golden. My favorite candy bar is homemade maple sugar candy. I would very much like to read "The Preacher's Wife." I used to teach Pilgrim's Progress to my Christian school students, and would like to see the parallels to John Bunyon. My favorite candy bar is Snickers. I think it's the peanuts. I would love to win a copy of your book. I'm a big historical Christian fiction reader and would love to add your book to my library. I would love to read your book Jody. It sounds really great. Hopefully I will win a copy of my own. My favorite candy bar is butterfinger crisp. There's nothing like the combination of chocolate, butterfinger and wafers. It's DELICIOUS!!! Thank you for sharing your gift with us! Sounds like a great book. If I don't win a copy I will have to put on my list of books to purchase and read. My favorite candy bar has always been Snickers. I usually only eat them at Halloween. I try to fool myself into thinking the small snack size won't hurt me..yeah right! I've always had a fondness for snickers! I'd love to win a copy of the book! SKOR (like Heath) or York Peppermint Patties. 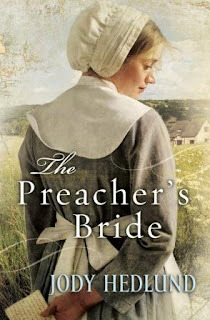 Without further ado, the winner of The Preacher's Bride by Jody Hedlund is Marie Ferland. Congrats! Email me with your address and Jody will get the book sent right off to you. Congrats on the publication, Jody! John Bunyan is an inspiring personality, but I had never considered his wife before. I enjoyed how you broke this post down into the different sections of your journey with the novel.